The General Assembly has held three special sessions on the question of disarmament; a fourth has been called for by multiple General Assembly resolutions, recently in General Assembly resolution 65/66 of 8 December 2010. An Open-Ended Working Group has been established to consider the objectives and agenda for a fourth special session on disarmament. It reports to the General Assembly. 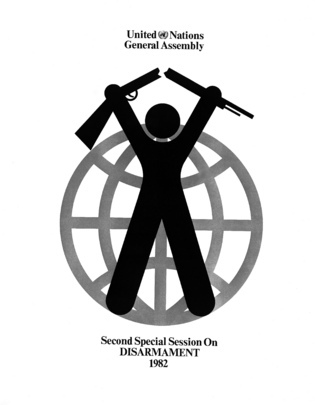 General Assembly resolution S-10/2 of 30 June 1978, i.e., the final document of the first special session on disarmament, established several mechanisms to work on disarmament matters.